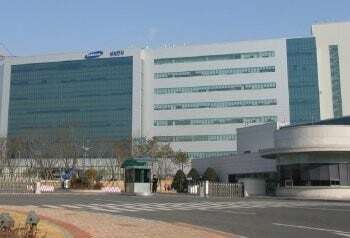 TANGJEONG, South Korea, April 19, 2005-S-LCD Corporation (hereafter S-LCD) today began shipment of mass production Generation 7 amorphous TFT LCD modules to its parent companies, Samsung Electronics Co. Ltd. (hereafter Samsung) and Sony Corporation (hereafter Sony). S-LCD was established on April 26th 2004 by an equal joint investment* by Samsung and Sony dedicated to the manufacturing of amorphous TFT LCD panels for LCD TVs targeting mass production to begin in the first half of 2005. S-LCD started the production of the world's largest generation 7th glass substrate and shipped LCD panels with integration of peripheral devices such as back-light and driving circuitry to both parent companies according to their individual specification requests. "I am proud to announce today that the cooperation between Samsung and Sony has realized the mass production of the most advanced 7th generation amorphous TFT LCD in the world. Facing the fast-growing LCD TV market, the most advanced LCD panels produced by S-LCD will become the new benchmark in the industry in terms of performance, quality and cost," said Won-Kie Chang, President and CEO of S-LCD. "By delivering the highly competitive panels, S-LCD can further strengthen both company's leading position in the display industry," he added. 6 panels: 46-inch (for use in wide screen LCD TVs).